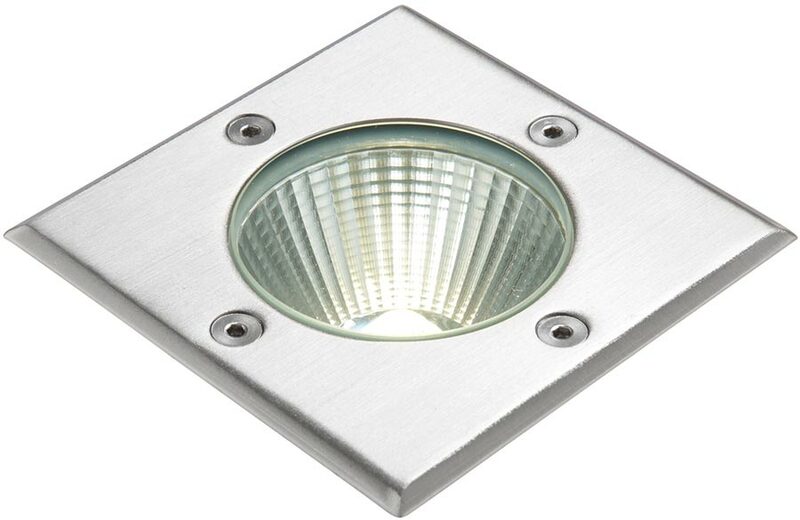 The Ayoka 109mm square stainless steel LED walkover light, rated IP67 and is a sealed unit. A 10w LED ground light with the latest in LED technology, this recessed fitting offers a bright 620 lumens output. A square recessed ground light with integral driver and LED module. The 10W LED offers a high lumen output of daylight white light through the reflective lens. This is a sealed unit complete with pre-terminated cable.